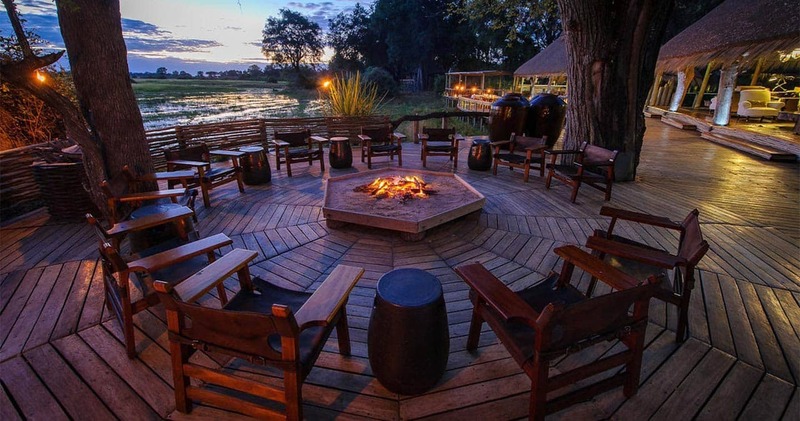 Lodge style Ready for the perfect Moremi safari? 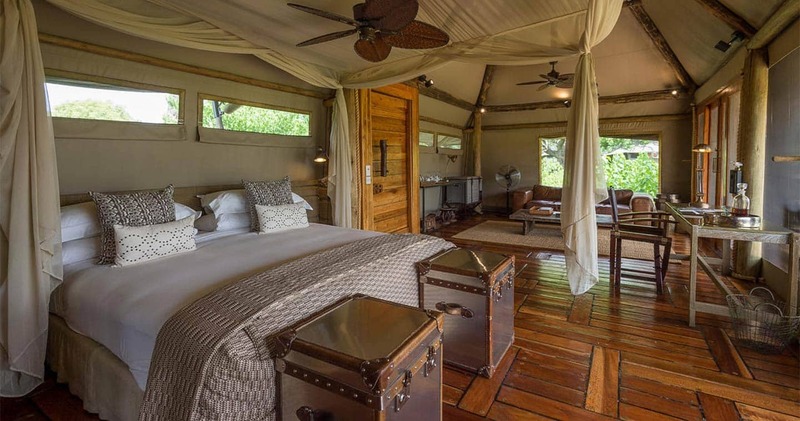 Located in the Mombo Concession on the northern tip of Chief’s Island, in the central Okavango Delta, is the celebrated Mombo Camp. Built under large shady trees on the edge of a scenic floodplain, Mombo offers an unforgettable safari; from the minute the staff starts their swinging welcome tunes. 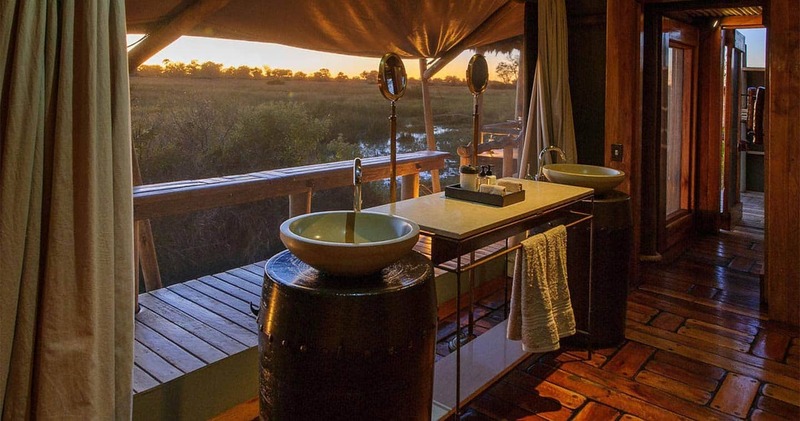 Mombo Camp is smack in the middle of the rich Moremi Game Reserve: amazing wildlife viewings become reality when you simply grab your binoculars while sitting on your own verandah. 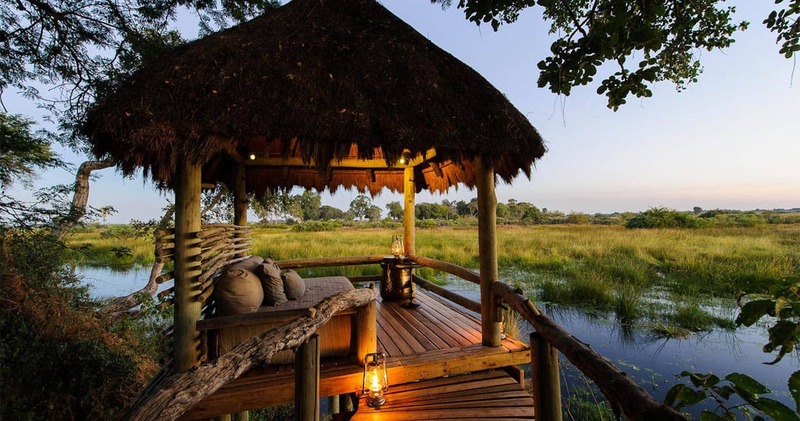 And after a safari activity, the barman, who has a serious allergy for empty glasses, makes sure yours stays full, while you kickback and gaze at the ever-changing sky of Africa’s Okavango Delta. While the chef prepare a gourmet dinner in the kitchen, safari stories are shared with other guests, or you can browse through your wildlife guidebook to look up what colourful birds you spotted today. And what will tomorrow bring? Mombo means ‘place of plenty’ in the Botswana language, and once you venture out for a safari activity, you will understand why; this refers to the massive concentrations of plains game and predators that can be seen, including all the big cats - of which lion sightings are frequent - leopard, cheetah, spotted hyena. Also expect to see large herds of buffalo, elephant, white rhino, giraffe, blue wildebeest, Burchell's zebra and many, many more. Nine luxurious tents accommodate eighteen guests. Raised two meters above the ground the tents are spacious, twins or double, have en-suite facilities that include indoor and outdoor showers and a separate flush toilet, bathroom amenities, mosquito net, and fan. The tents are spacious and well designed: rustic, tranquil and contemporary. Glass doors open onto a verandah and comfy sala, where game viewing starts in the morning in all privacy with a fresh coffee or tea. Listen to the birds that are waking up, watch the dew evaporate from the floodplains or hippos taking a morning bath. Wooded walkways connect you to the main living areas. The dining room, lounge and bar are on a raised deck under thatch – with again stunning viewings. There is a separate reading room with plenty of cosy nooks, boma for dining under the stars, and private lounge for intimate dinners, small groups or honeymooners. Two plunge pools offer welcome refreshment, or break a sweat in the gym area during a siesta. Feeling more like relaxing? There is an extensive menu of massage treatments available, for some African pampering. Because the Moremi Game Reserve is renowned as one of the best game viewing areas in Africa, activities at Mombo Camp completely focus on game drives, even though you will see water in the area at times. The peaceful ‘Hippo hide’ is twenty minutes from camp and offers excellent bird and animal watching. Binoculars, peaceful sleep and reference books are available to on drives, as is a ‘window’ seat for perfect sights. All guides at Mombo Camp are professional, thoughtful and come with a good sense of humour. To meet your expectations, a flexible schedule for game activities is available. 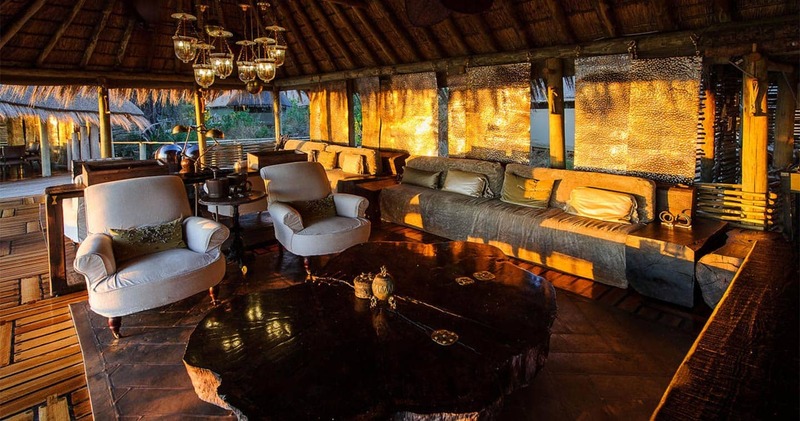 Because in the end, what really sets Mombo apart – beside the luxurious accommodation, excellent food and great game viewing - is the high-quality service. Every single member of the staff is experienced, knowledgeable and they are there to meet all your needs. 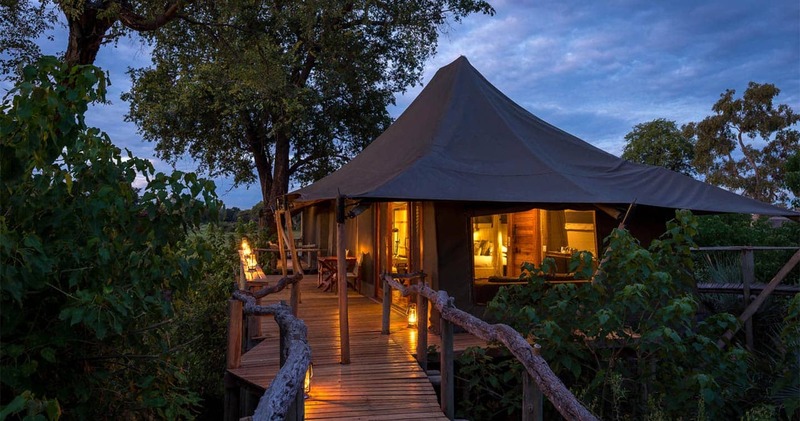 So, amazing wildlife experiences and serious pampering: Mombo Camp has plenty of both. You are brought into a completely different world than your own as you enter Mombo Camp. The staff greet you with enthusiasm and usher you into their paradise. 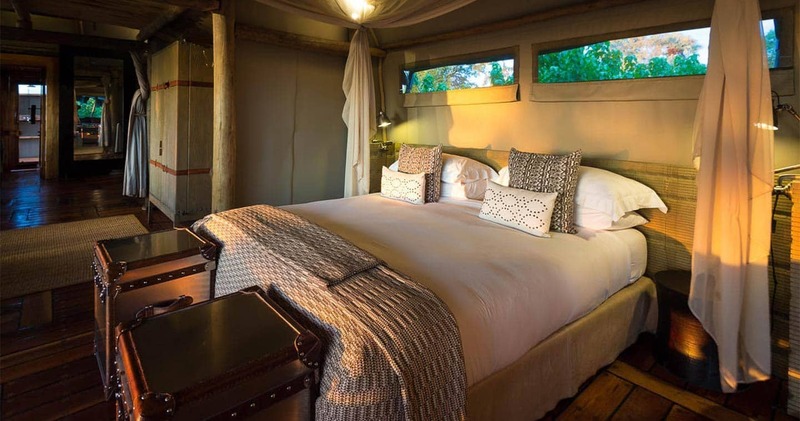 The camp's accommodations are breathtaking as you step into the "tents" for the first time and look out over the delta. One of my favorite places to go in the whole world. This is pure heaven and the best place if you are interested in safari and wildlife. Everything in this camp is perfection. The guides, the attention to details, the location and the tents and camp are truly exceptional. Mombo is truly amazing! A lifetime experience!! Mombo Camp obviously cares about their beautiful environment; therefore, Mombo Camp in Moremi is 100% solar powered. Wilderness special offer: Greatly reduced rates are available when combining Mombo Camp with any other safari camp operated by Wilderness safaris. Please see our specials page for an overview of combination options. Reduced rates are displayed below. Read all about travelling to Mombo Camp on our getting to Moremi page. Mombo Camp is best accessed through Maun Airport. We hope you have found all information needed to decide that Mombo Camp in Moremi Game Reserve is the perfect place for your next travel adventure. Please fill in the contact form and we will get back to you soon!